From Anion A of Switzerland, to Fuller's Earth of the U.S. Midwest, to Argiletz's French Green clay in France, to the fine glacier clays of Canada, to the Dead Sea Muds of the middle east, to the vibrant green bentonites of Wyoming, to the pale grey bentonites of Death Valley, montomorillonite, bentonite, illite, and zeolite have held a long standing reputation for curative powers in natural medicine. 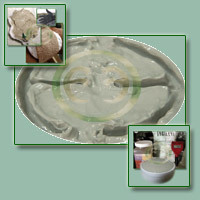 What is Bentonite? And Montmorillonite? 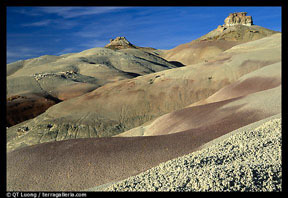 Bentonite is a name given to a particular clay that was originally found in Fort Benton, Eastern Wyoming. The name was given by W.C. Knight in 1898. 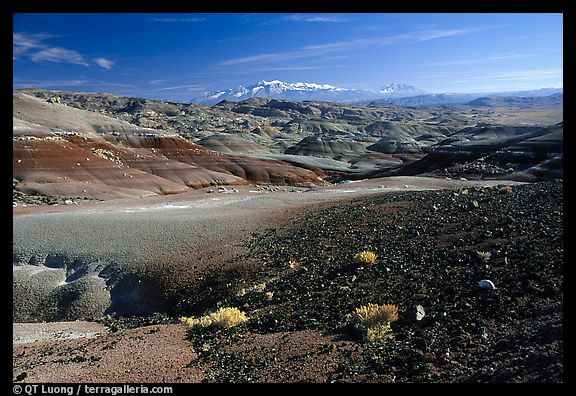 Previously, it was called Taylorite, which was named after William Taylor, who first began to draw attention to the clay deposits. Geologists often describe bentonite as a clay mineral containing Montmorillonite, which poses a rather curious problem, as Montmorillonite is a name of a particular clay that was discovered in Montmorillon, France, named by Mauduyt in 1847. 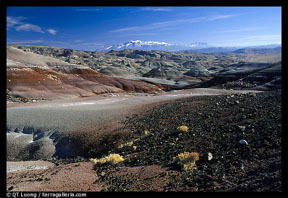 "The name montmorillonite is used currently both as a group name for all clay minerals with an expanding lattice, except vermiculite, and also as specific mineral name. Specifically it indicates a high-aluminia end member of the montmorillonite group with some slight replacement of Al3+ by Mg++ and substantially no replacement of Si4+ by Al3+. MacEwan suggested the term montmorillonoid for the group name to avoid confusion with montmorillonite as a specific mineral name, and Correns suggested Montmorin as the group name. Neither of these names has found favor. The name smectite suggested as a group name by the Clay Minerals Group of the Mineralogical Society of Great Britain at the outset met strong opposition, particulary by many American mineralogists, but it is becoming widely accepted." (R. E. Grim: Clay Mineralogy 2nd edition, McGraw-Hill Book Company, New York (1968) 41). "Sodium bentonite is the name for the ore whose major constituent is the clay mineral, sodium montmorillonite. Montmorillonites are three-layer minerals consisting of two tetrahedral layers sandwiched around a central octahedral layer (Figure 1). Oxide anions at the apices of the tetrahedral subunits are directed inward where they surround interior aluminum, iron and magnesium cations, thereby forming the octahedral subunits of the octahedral layer. Bonding, between the shared interior oxide anions and the cations in both the tetrahedral and the octahedral layers, links the layers together and yields the unique sheet structure characteristic of clay minerals. 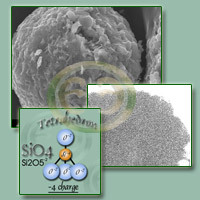 For montmorillonite, the total negative charge contributed to the structure by the sum of all the oxide anions (O2-) is somewhat in excess of the total positive charge contributed by the sum of all the structural cations (Si+4, Al+3, Fe+2, Fe+3, Mg+2) and imparts a slight overall negative charge to the surfaces of the clay sheets. This slight excess negative charge on the sheets is counterbalanced by free-moving (exchangeable) cations which exist between them. 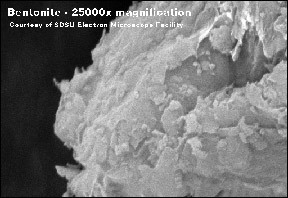 These three layers in each sheet comprise individual bentonite platelets which are typically 1 nm in thickness and 0,2-2 microns in diameter. Dry platelets of sodium bentonite are most commonly grouped together in a face-to-face arrangement, with exchangeable cations and small amounts of adsorbed wares in an interlayer region between each platelet. The thickness of the interlayer region is variable depending on the amount of water adsorbed between the platelets." "High-purity, air-classified sodium bentonite, selectively-mined, consisting of micronized particles and supplied as a free-flowing powder. This high-purity montmorillonite is typically used where small particle size is required in pesticide and fertilizer applications... A Hydrous aluminum silicate, air purified to concentrate the finest montmorillonite fraction from the bentonite ore. Contains traces of feldspar, quartz, calcite, and gypsum." We wanted to add the above paragraphs due to the common misconception that, somehow, bentonites and montmorillonites are two different types of mineral classes. In other words, we've talked to people who didn't want bentonite, but instead montmorillonite, and those who have rejected montmorillonite because it wasn't labelled as bentonite. Bentonites (and montmorillonites) are further classified by their dominant cation (the element in the clay that has the highest potential for ion exchange). 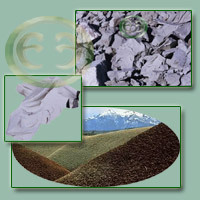 Some sources state that there are only two primary types (sodium and calcium) of bentonite. However, magnesium bentonite (http://www.gsaresources.com/bentonite.htm), calcium magnesium bentonite, and potassium bentonite (http://vulcan.wr.usgs.gov/LivingWith/VolcanicPast/Places/volcanic_past_indiana.html), while less common, are unique forms of bentonite, just like the calcium and sodium bentonites. Healing Clay has been used in France, Australia, the Americas, the Middle East and Europe for centuries in native natural medicine arts. Actually, now that you mention it, yes I do! That quote was a copy/paste from Cetco, and was either a typo by them or a mistake by me. I will change it, thanks for noticing and letting me know! Bentonites (and montmorillonites) are further classified by their dominant anion (the element in the clay that has the highest potential for ion exchange). Wouldn't they be classified by the dominant CATION? i.e. sodium (Na+), calcium (Ca+2), etc?? Thank you for catching that typo. You are absolutely correct! I have made the correction. Thank you for taking the time to point it out. Can you add sources for Sodium bentonite/? that will be much helpful for those looking to source sodium bentonite.